Will has been working in one field of ELT or another for more than seven years. Between teaching in villages and cities in Awajishima, Japan, and completing his CELTA at International House London, he spent two years working in a care home for young adults with autism and challenging behaviour. Will joined EF working as a Teacher and Senior Teacher in Guangzhou Kids and Teens before moving to EFEC in the role of Lead teacher and English Environment Coordinator. 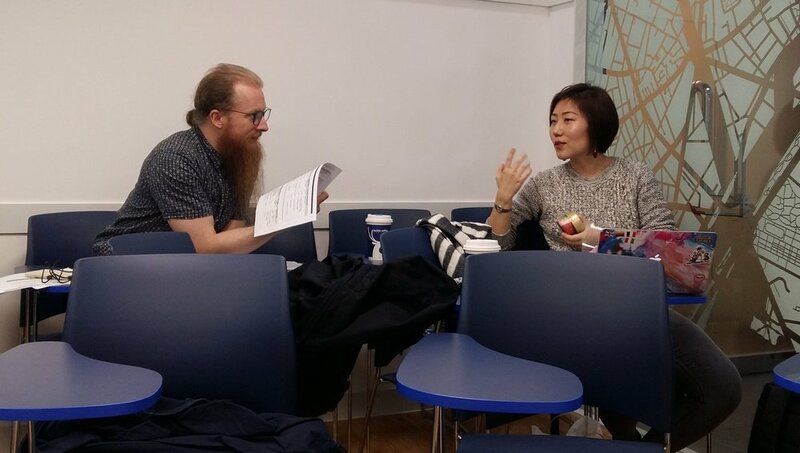 At the time of writing, Will is waiting for the final grade of his Diploma in TESOL portfolio, within which he achieved distinctions for phonology and teaching practice. When he isn’t getting overexcited about question word noun phrases, he can usually be found swinging a kettlebell or looming over a board game with likeminded nerds.